When Mackenzie Boedicker was diagnosed with amyloidosis, she knew nothing about the disease. That's changed, and she's using her new knowledge to raise awareness and funds to support research into treatments and a cure. Mackenzie Boedicker has gotten used to the double-takes. She's young, female — and bald. It's not what most people expect. "You cannot go anywhere without getting stared at," she says. The reason she's bald also defies expectations. At just 23, Mackenzie was diagnosed with amyloidosis. It's a rare disease, and one that normally affects people nearing retirement. Mackenzie was a senior at Northeastern University in Boston when she was diagnosed. "I was terrified," Mackenzie tells us of receiving the news. "I questioned my future." But today, thanks to her care team at Mayo Clinic, she's once again looking ahead. Mackenzie's medical odyssey began when she noticed a lump in her throat. "I went to see an ENT specialist, and she told me it was just seasonal allergies," Mackenzie says. Six months later, the lump was even larger. She decided to get a second opinion, which led to a biopsy and eventually, a diagnosis. Stunned by the diagnosis, Mackenzie and her family began researching treatment options. An aunt had heard about Mayo's expertise in treating amyloidosis, and emailed Morie Gertz, M.D., a hematologist/oncologist who treats patients with the disease. "Within five minutes, Dr. Gertz had emailed her back," Mackenzie tells us. "That was pretty motivating." She and her family decided to head to Mayo Clinic's Rochester campus for treatment. Dr. Gertz first ordered another round of tests. Mackenzie was so young that Dr. Gertz was "hard pressed to believe she actually had the disease," he tells us. "She's the youngest patient I've ever seen." After the tests confirmed the diagnosis, Dr. Gertz laid out Mackenzie's treatment options. "He looked at me, he talked to me, and I felt I was in great hands," she says. 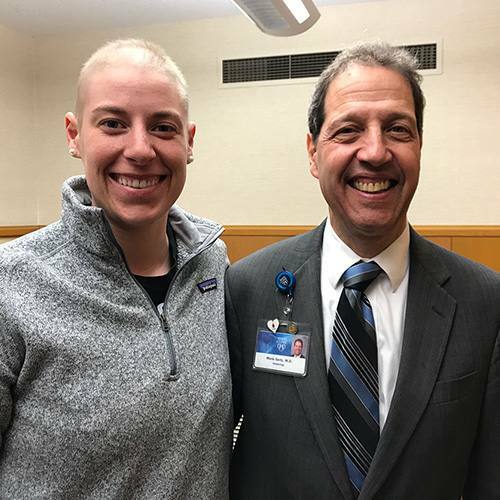 After weighing her options, Mackenzie decided on chemotherapy followed by an autologous stem cell transplant. It was a wise choice. One-hundred days post-transplant, Dr. Gertz informed Mackenize that she showed no evidence of the disease. "Her outcome was superb," he tells us. "It's a reason for other patients to be quite hopeful." Now Mackenzie wants to help spread that hope to others. One way she's doing that is through Mackenzie's Mission, a foundation she started to raise awareness about amyloidosis and funds to support research into the disease. Today, Mackenzie is deeply involved in research herself, working as a research associate at Harvard Medical School. And she's again preparing for the future. "When I met with Dr. Gertz, he told me he could get me another 60 to 80 years," she says. "I felt like it was OK to go chase my wildest dreams again." Those dreams include becoming a doctor herself. "I was originally interested in orthopedic surgery, but after this experience, I'm thinking about hematology/oncology," Mackenzie says. "I've seen firsthand what it's like to give someone a second chance at life." Mackenzie will be applying to medical schools this spring and tells us that Mayo Clinic School of Medicine is at the top of her list. "I absolutely fell in love with Mayo Clinic," she says. "Every single person I met was amazing. My heart is at Mayo." 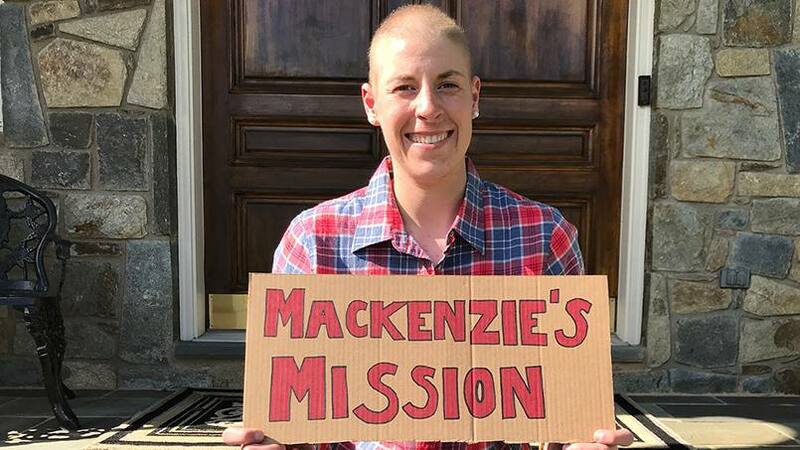 Learn more about Mackenzie's Mission on the foundation's Facebook page or YouTube channel. Then make it your mission to leave a comment below before you use the handy social media tools to share this story with others.